The Football Association of Ireland (FAI) had used all available funding from its various bank accounts at the time former CEO John Delaney provided it with a €100,000 loan. The information comes in correspondence from the association to the Oireachtas Sport Committee. The letter, from interim CEO Rea Walshe, addresses a number of queries raised by TDs and senators at the committee's meeting with FAI representatives last week. Mr Delaney gave an account of the circumstances of the €100,000 loan he gave the FAI in 2017 when he appeared before the committee last Wednesday. He told committee members he was advised at an internal FAI finance meeting on April 25, 2017, that if all cheques and FAI bank transfers issued at that time were presented for payment, the FAI would have exceeded its €1.5m bank overdraft. The committee was told that the association had 24 bank accounts. The FAI was asked at the committee why other bank accounts were not used to cover outgoing costs at the time. The letter from Ms Walsh says that "at the time the association was provided with the €100,000 loan, it had utilised all available funding across its bank accounts". 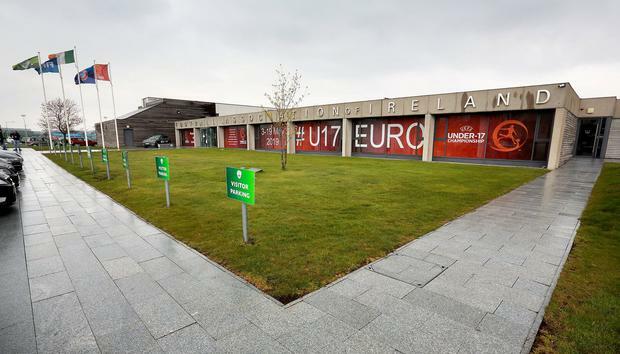 Sport Ireland said yesterday it is to consider the possibility of a "full audit" of the FAI as part of the conditions for restoring State funding. Sport Ireland officials are to appear before the Oireachtas Sport Committee tomorrow and are to tell of their disappointment at the FAI's refusal to answer TDs' questions at last week's committee meeting. A statement sent to the committee ahead of the meeting outlines steps the FAI is going to have to take if funding is to be restored. At the meeting Mr Delaney gave an account of the circumstances of the €100,000 loan but refused to answer questions on it, the FAI's finances or his time as CEO, citing legal advice. The Oireachtas Sport Committee is also due to hear from Sports Minister Shane Ross tomorrow.